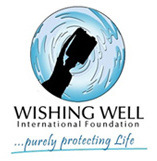 Wishing Well International Foundation is a 501(c)(3) non-profit organization that provides clean, safe drinking water in developing areas. 884 million people in the world do not have access to clean water. 1.6 million children die each year from waterborne diseases. The Millennium Development Goal on child survival (MDG 4) will remain beyond our reach until diarrheal disease, poor sanitation and unsafe drinking water issues are addressed. Recognition as the exclusive sponsor of a special event. Legend & Luminary Sponsors are automatically considered as candidates for the WWIF Board of Directors.